Dubai’s SEED Group, an association of diversified companies owned by The Private Office of Sheikh Saeed bin Ahmed Al Maktoum, has selected INVAO, the blockchain asset pool for investors, as the exclusive international partner for blockchain investments. The Private Office, established by Sheikh Saeed bin Ahmed Al Maktoum, directly invests in businesses which bring advanced and innovative solutions to the UAE. It selects one leading company to partner with per industry, including technology, healthcare, hospitality, real estate, and in this case, investments. Founded in 2018, INVAO trades a diversified portfolio of blockchain assets and cryptocurrencies, represented in only one single token. It leverages automated trading and expert crypto portfolio management to provide a straightforward way to invest in blockchain and digital money as an asset class, without lockup periods. As an exclusive international partner, INVAO will play a key role in the implementation of the Emirates Blockchain Strategy 2021. Through its blockchain asset pool, UAE and global investors would be able to access a diversified portfolio of blockchain assets and digital currencies. 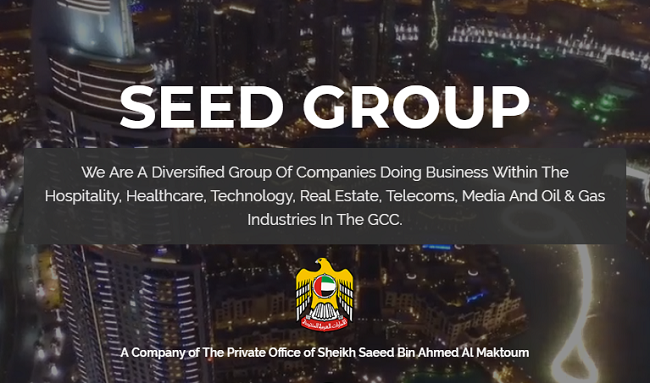 Hisham Al Gurg, CEO of SEED Group, said that the partnership with INVAO will help drive the transformation for the digital asset landscape in the UAE whilst offering an enhanced standard and improved market access for investors in the region. “While the vision is to invest in blockchain, the partnership takes an inclusive approach to integrate and monitor the global market trend to take part in this global upsurge and overcome financial, cultural and regulatory differences,” he said.